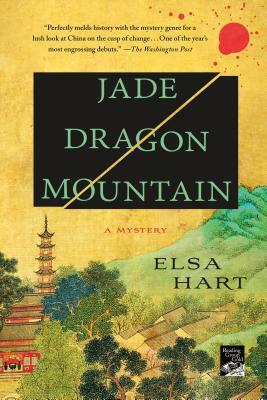 On the mountainous border of China and Tibet in 1708, a detective must learn what a killer already knows: that empires' rise and fall on the strength of the stories they tell. Li Du was an imperial librarian. Now, he is an exile. Arriving in Dayan, the last Chinese town before the Tibetan border, he is surprised to find it teeming with travelers, soldiers, and merchants. All have come for a spectacle unprecedented in this remote province: an eclipse of the sun commanded by the Emperor himself. When a Jesuit astronomer is found murdered in the home of the local magistrate, blame is hastily placed on Tibetan bandits. But Li Du suspects this was no random killing. Everyone has secrets: the ambitious magistrate, the powerful consort, the bitter servant, the irreproachable secretary, the East India Company merchant, the nervous missionary, and the traveling storyteller who can't keep his own story straight. Beyond the sloping roofs and festival banners, Li Du can see the mountain pass that will take him out of China forever. He must choose whether to leave and embrace his exile, or to stay and investigate a murder that the town of Dayan seems all too willing to forget. ELSA HART was born in Rome, Italy, but her earliest memories are of Moscow, where her family lived until 1991. Since then she has lived in the Czech Republic, the U.S.A., and China. She earned a B.A. from Swarthmore College and a J.D. from Washington University in St. Louis School of Law. She wrote Jade Dragon Mountain, in Lijiang, the city that has grown up around the old town of Dayan.